Smartphones are not great in low light. 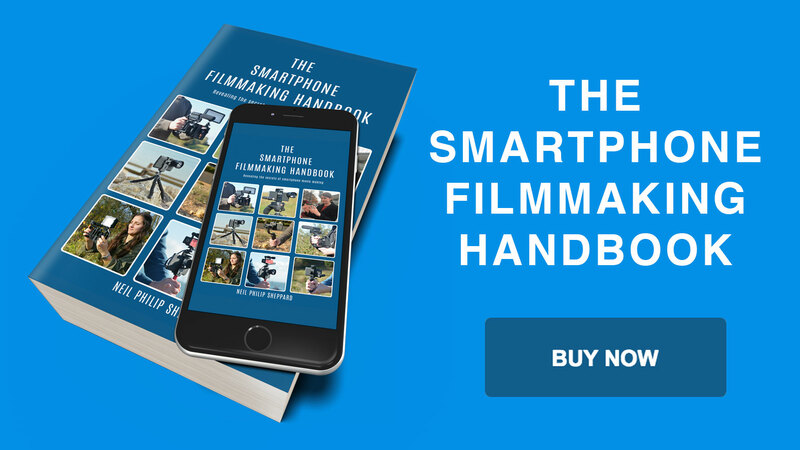 The technology is always getting better and there have been great improvements but in general when you are shooting in low light the camera on a Smartphone could do with some help. There are practices you can do to help the situation. When doing an interview put your subject near a window so the light falls on to their face. Or if there is overhead lighting place you subject near it so you can get some benefit from that light source. The best solution to this problem is to carry with you some portable lighting. Now I don’t mean a full set of stand-alone redheads or a full Kino rig. 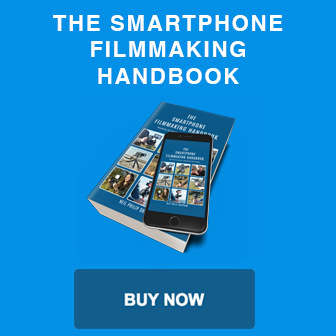 This would defeat the object of being a mobile film-maker. What you can carry with you is one of the many Smartphone portable lights that are now available. LED lighting has many advantages; they are small and light, the bulbs don’t blow and they are good on power consumption. Which light you buy depends on your budget. 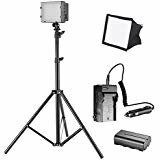 Some come with diffusers which can take the edge of any harsh light they cast and some have colour glass to change the colour balance from warm to cool. Whatever you buy make sure it has a cold shoe mount so you can slide the light on to a rig. That way it will sit nicely near your Smartphone when shooting. The Neewer light is a powerful LED light that packs a lot of punch for its size. The light itself will give you an even spread light pattern that shouldn’t give you many unwanted shadows. Its colour balance may be not as accurate as some of the expensive models but for this price it is very good. 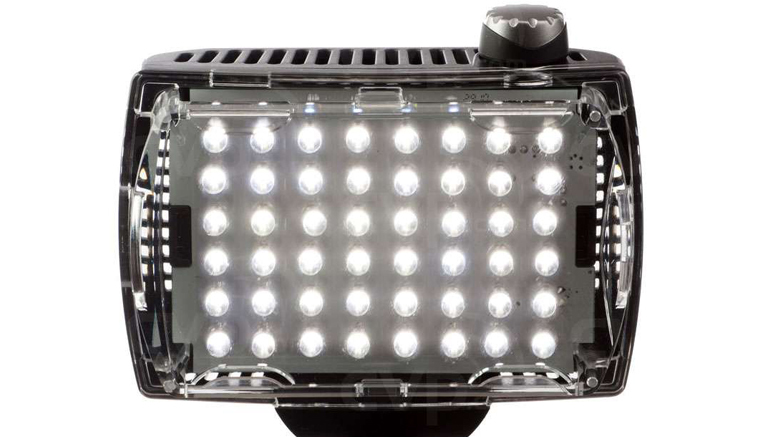 It has a cold shoe mount at the bottom of the light so you can mount it onto any rig you have. Or if needed you can put it on to a light stand. The light itself will work with five different kinds of batteries including AA. This means you will have plenty of choices to power it. If you do start to run out of juice it also has a handy battery indicator to warn you of low power. The Neewer comes with a selection of diffusers and gels that should cater for most occasions. There is also a dimmer switch if you need to turn down the power of the light. The light has a balance of 5400k which is near to daylight so you will need to balance it back with a gel if you need a tungsten look. With six AA batteries you should get about two hours of use which is reasonable for the amount of LED lights. 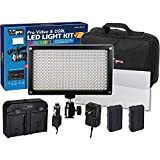 This is an excellent light and for the price and will be a great addition to your kitbag. 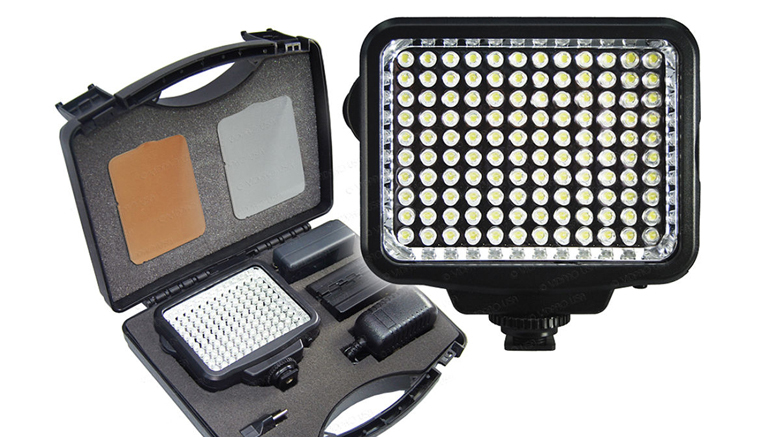 The VidPro K120 is a portable and lightweight LED light that should cater for most of your lighting needs. It has 120 energy efficient LED lights which will help to restore your image balance and bring clarity back to your Smartphone shots. It is also light and weighs not much more than an average Smartphone. It has the usual cold shoe mount so you can mount the light on any available rig you have. Or if needed you can put it on a light stand. The light balance of the light is 5600k so will run as daylight. You can of course add a colour gel to balance back to 3200k if needed. The light itself is compatible with Sony Le Series batteries and the Panasonic CGR battery so you won’t be running out of power in a hurry. 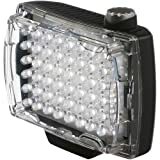 120 high intensity LED lights produce a 75 Watt light beam so you won’t be short on available light. Control of these lights is by the dimmer switch which will give a brightness control between 0-100%. 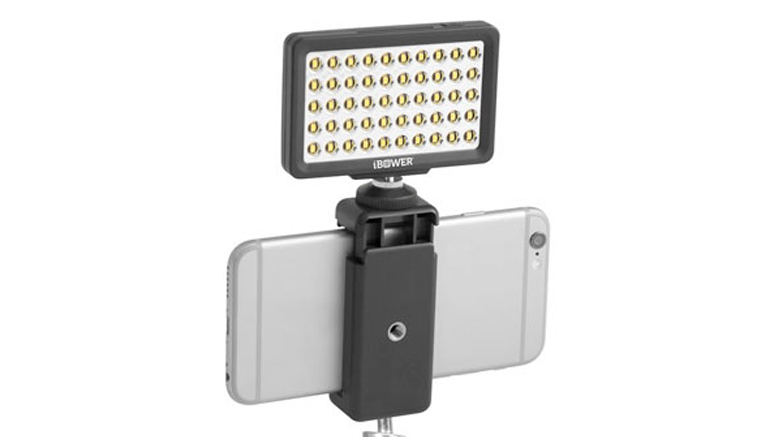 The Manfrotto Spectra 500S is a compact and lightweight LED light designed to meet the needs of the most demanding Smartphone film-maker. The colour rendition from its LED lights runs at CRI>90. This means its colour reproduction makes the skin tones of subjects look natural and not blasted with white light. The light itself emits a narrow beam angle of 30° so you should only get light where you want it. It has a colour temperature of 5600k which means it runs as daylight. This will give a luminance of about 300 LUX at 1 metre. The light has a controllable dimmer switch if you need to adjust the power. It also comes with a full set of filters if you need to balance to other colour temperatures. Power to the unit comes from four AA batteries which will give you an average operation time of about 1.5 hours at the highest setting. You can also power the light by the mains if needed through an AC adaptor which is optionally available. You can mount the Spectra 500S to most rigs and light stands by the cold shoe mount on the bottom. This has the feature of a ball head so it can tilt the light to the angle you need. 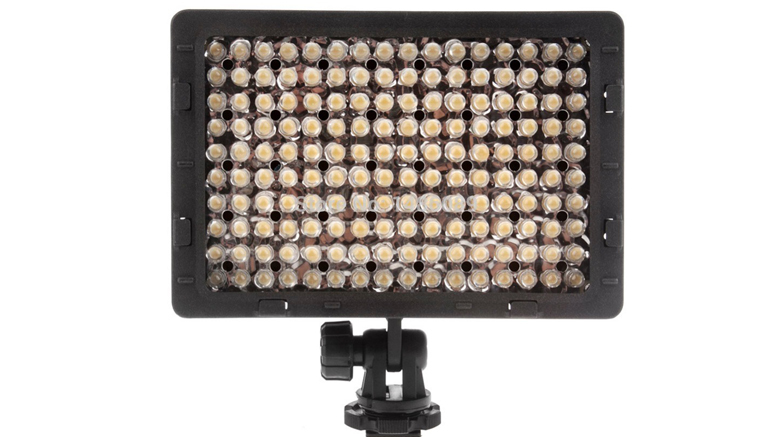 The Spectra 500S is not cheap but it has many features that are not found on some other budget lights. This is a great light which will give you many hours of service before it needs replacing.